The first Spaniards set foot in northern Ecuador in 1526. Francisco Pizarro reached the country in this year and was feared among indigenous populations with his conquistadors’ horses, armory and weaponry. The leader of the Incan, Atahualpa, was ambushed and held for ransom. Afterwards he was tried and executed and the Incan Empire was effectively demolished. Quito held out for two years, but was eventually completely destroyed by Atahualpa’s general, Rumiñahui. He rather had the city destroyed have lost it to the invading Spaniards. Quito was re-established back in December 1534. Unfortunately at this day, there is only one Incan site remaining. Ingapirca, located north of Cuenca. Spain ruled Ecuador from Lima, Peru, until 1739. It was a rural and conservative area, with large estates of introduced cattle and bananas farmed by forced labor. Climate: Tropical along coast becoming cooler inland at higher elevations and tropical in Amazonian jungle. “This upper section of the Avenue of the Volcanoes is spectacular. 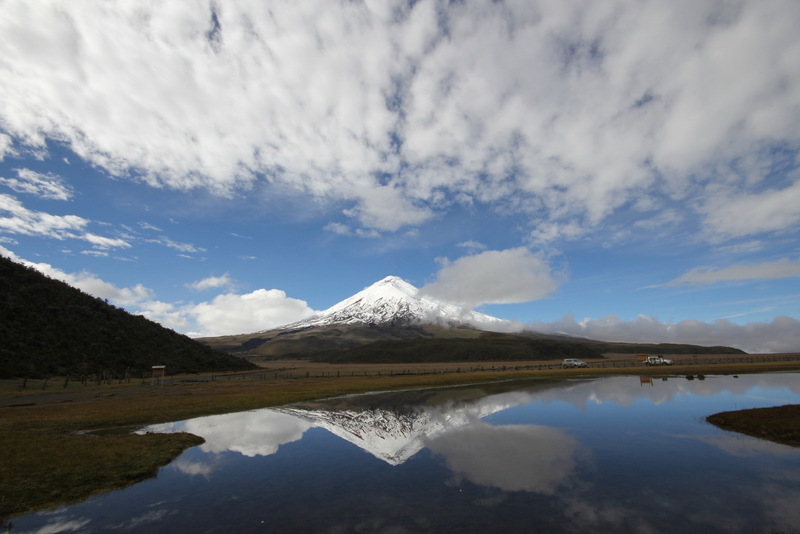 Within a few hours travel from Quito, you have over eight major volcanoes, including the most famous: Cotopaxi, which is the highest active, snow-capped volcano in the world. We own a beautiful hosteria one hour and twenty minutes south of Quito called PapaGayo, which is just outside the small town of Machachi. 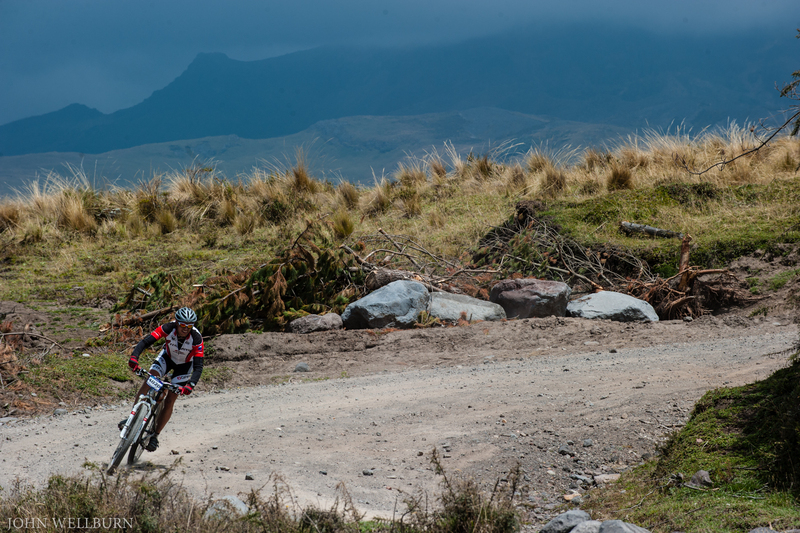 From this ideal location, there are several activities available, including biking tours of Cotopaxi, climbing tours of Pasachoa, Corazon, Ilinizas or Cotopaxi, as well as horseback riding from one day to multi-day trips. Also in the northern Andes, there are wonderful places to visit, such as Otavalo and the world-famous market there. Mindo, which is known for its bird and butterfly population makes either a fantastic day trip from Quito or a multi-day stop. Then, of course, there is Quito, which serves as a hub to other places, as well as a great place to sightsee for two or three days. The major attractions of southern Ecuador are the Devil’s Nose Train from Riobamba to Alausi, the beautiful colonial city of Cuenca that is home to more cathedrals per capita than any other Ecuadorian city and further south Loja and Vilcabamba. Just outside of Cuenca there is a nature reserve worth visiting, known as Parque Nacional Cajas. Cajas contains over 232 alpine lakes and many of them are filled with tasty lake trout. You can visit this park either on a day trip from Cuenca or on a multi-day trekking trip. There are many different areas of the jungle. In fact, it is possible to travel just a few hours in one direction and be in a completely different ecological and geographical zone. Here at Gulliver, we work with two primary areas of the jungle. In the north, there is the Cuyabeno Nature Reserve, which is made up of 8 major lagoons home to pink river dolphins, caimans, piranhas, monkeys, etc. This area represents what most people consider to be the typical “Amazonia” region of Ecuador. A bit further south, and considerably closer to Quito, is a mountainous area of the jungle near Tena. This area boasts more rivers per square mile than anywhere else on Earth. In particular, the jungle around Tena is known for its incredible white-water rafting and jungle tour combinations. Although there are not the same types of animals in Tena as in Cuyabeno, there are still plenty of opportunities to see monkeys, parrots, etc. 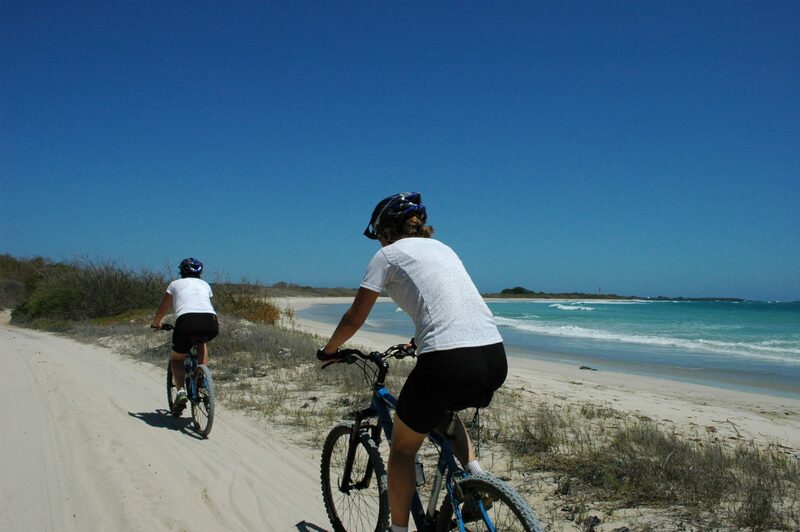 Off the coast of Ecuador, you have the beautiful Galapagos Islands. As you know, these became famous thanks to Charles Darwin in the 1800’s. There are several options available for visiting the islands and if you are interested in hearing about those, I would be happy to share some ideas with you in a minute.